Various shots taken around Austin, Texas. 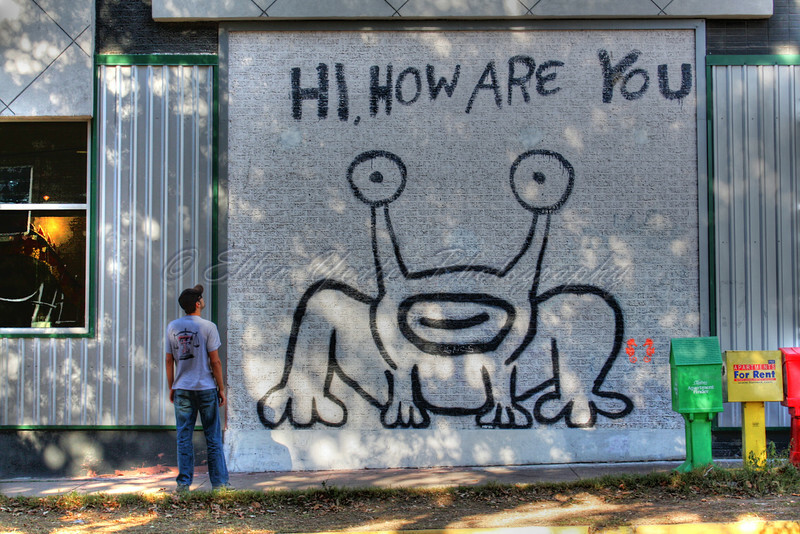 For a decade, Daniel Johnston's Jeremiah the Frog mural has been an iconic piece of cultural identity for both Austin, Texas' oft-traversed Strip, as well as in the subgenre of alternative rock, where its artist (also a singer-songwriter) achieved cult notoriety. The mural, which offers a pleasant "Hi, How Are You" to passersby, received an eleventh-hour reprieve yesterday when new ownership of the building on which it was painted (on the corner of 21st Street and Guadalupe) decided not to demolish the wall and replace it with windows.